Often carpet can develop stains, become discolored, or fade before the carpet wears out or needs to be replaced. When carpet wear makes it look dirty or it’s covered with stains, it seems like a waste to completely replace the carpet. However, something must be done to renew the carpet’s appearance. Churches are often faced with this problem. Most churches are on a tight budget and don’t always have the funds to replace the carpet throughout the entire building. When a church’s carpet needs a major makeover one of the best solutions is carpet dyeing and color cleaning services. Carpet Dye-Tech will share how a carpet cleaning and dyeing service can rejuvenate the carpet’s appearance and help save churches the expense of replacing worn looking carpets. Due to the high traffic of incoming visitors carpet in churches often gets stained and loses its coloring quickly. There are a number of causes for carpets to lose their vibrant color. High foot traffic brings in dirt and often creates gray patches or streaks in the carpet. While frequent vacuuming and carpet cleaning can help slow down the effects of high foot traffic, it can’t eliminate the wear on your carpets. Windows which bring in direct sunlight can also cause carpets to fade and look lighter in color. Improper carpet cleaning can also strip the carpet of its color. This causes the carpet to appear faded. Another common problem that frequently occurs in churches are stains. Parents often bring snacks and drinks for little kids which often finds its way onto the carpets. Occasionally cleaning chemicals that contain bleach or chlorine can also cause bleach stains which cannot be removed. Stubborn stains and dirty, faded carpet can tarnish the beauty of the church. Before replacing carpet that is either stained, discolored or faded, you can seek out professional carpet cleaning and dyeing services. Carpet dyeing helps recover carpets and helps reduce waste and ultimately saves money. 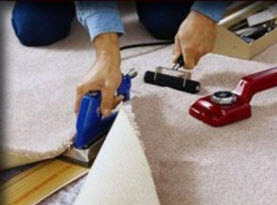 There are a number of services that can rescue the carpet. There are stain recovery dyeing services where bleach stains or other stubborn stains such as red stains can be dyed over. The dye technician can create a blend of dyes that will interact with the stain and match the discoloration with the rest of the carpet’s color. By dyeing over irreversible stains, the rest of the carpet can be recovered. 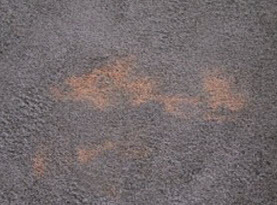 Carpet that has been severely discolored or faded from sun damage or high foot traffic can also be recovered. 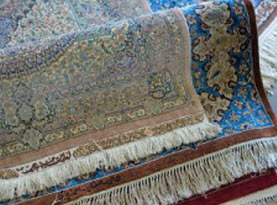 Carpets can be cleaned and dyed to revitalize the carpet’s original color. Carpet often fades much quicker than they wear out. Seeking out carpet dyeing service can provide you with carpet that can be cleaned and then dyed to renew the carpet color. Additionally, carpet color can also be changed in certain circumstances. Depending on the current color of the carpet, color can be dyed over to match, dyed a darker shade or change the color of the carpet completely to a darker color. Often when a church building desires a change in appearance the carpet often needs to be removed and replaced. Instead of replacing good carpet, the carpet can be dyed to change its color, typically from a lighter color to a darker color. There are a number of ways a professional carpet dyeing service can help church carpets. To reduce waste and the expense of replacing carpets, contact Carpet Dye-Tech. 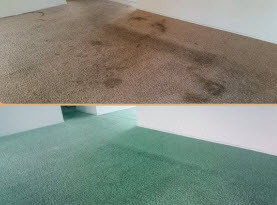 We provide quality carpet care and dyeing services for residential and commercial property, including church buildings. Schedule our services today by contacting Carpet Dye-Tech.